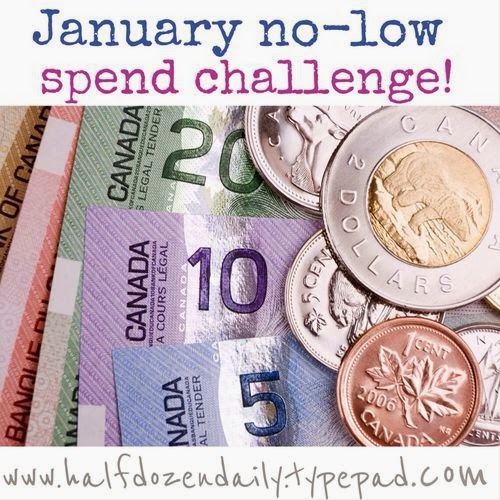 It is time to give my final update for the January No-Low Spend Challenge. Last year I bombed out halfway through the month but this time I came through with flying colors:) Thanks to Carla at My 1/2 Dozen Daily for this Challenge to get the New Year started off on the right foot! Week 4 (January 25-30) -- I made a commission of $80 from this month's Stampin' Up! order and I spent $85.69. Woo Hoo! I ended up with $19.62 more than I started with! That $19.62 will pay for next month's Weight Watchers Online fee of $18.95 since it doesn't look like I lost the 6 pounds needed to have hubby pay. I will know for sure tomorrow! Have you been successful with your New Year's Goals? I will do an update of my other goals this weekend to see where I am. Well i'd say that was a very successful month for you, Kat!! :) Well done!! You did really well on this challenge. You have inspired me with my spending habits as well! (I also loved your thrift store finds - great deals. I am a fellow thrifter). Have a great weekend!